Show the one you love just how much she means to you. For a truly memorable honeymoon, an awesome weekend getaway you'll be talking about for years to come, or just some well-deserved quality family-time together, our exclusive retreat offers a range of Bungalows, each of which ensconced in various types of breathtakingly beautiful terrain. Peruse the details below to get a good idea which of our bungalows is most suitable for your personal taste and preference. N.B. 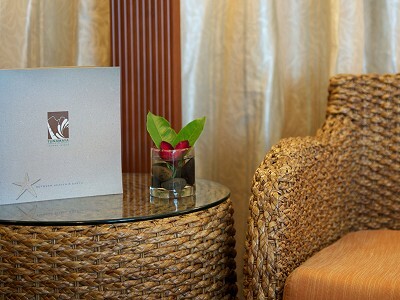 All our Bungalows are equipped with a safe deposit box, mini-bar, IDD telephone and hair dryer. Situated along the garden stream, our Garden Family Bungalows are a generous 44 square metres in size. 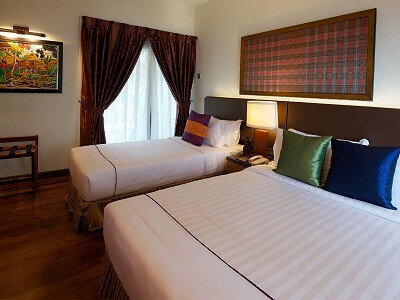 Each room is furnished with a king-size bed and spacious, tastefully designed bathroom. The Garden Family Bungalows have a full vista of the lush tropical rainforest, enabling you to bask at will in nature's blissful tranquillity. Positioned adjacent to our breathtaking beachfront, our Beach Landing Bungalows are no less than 44 square metres in size. 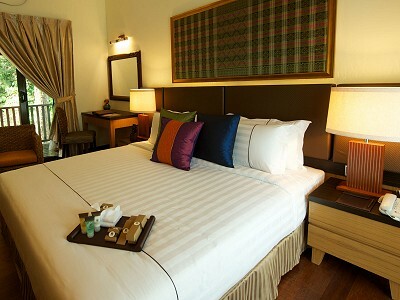 Each Bungalow offers a king-size bed with a bathroom that's not only spacious but elegant too. Our Beach Landing Bungalow offers a simply stunning beach and turquoise-colored sea panorama, earning this bungalow the well-deserved nickname of Honeymoon Bungalow. Our Jungle Bungalows have been designed to inconspicuously merge into our grounds' rolling verdant hillside. The Bungalow's king-size bed, and relaxing garden view of meandering crystal-clear stream will have you in seventh heaven both night and day. 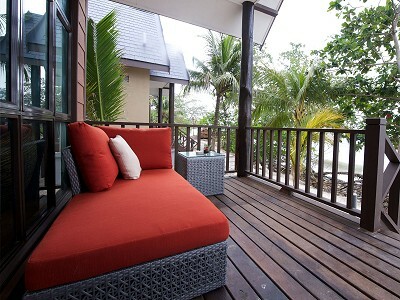 Ideal for families, our Jungle Family Bungalows are furnished with a super single bed in addition to a queen-size bed. The Family Bungalows are perched on our lush hillside, affording magnificent views of rainforest, vibrant tropical garden and the crystal-clear stream that meanders its way through our grounds. Our Beach Bungalows are situated alongside a clear fresh-water stream that lazily snakes its way through our resort grounds. 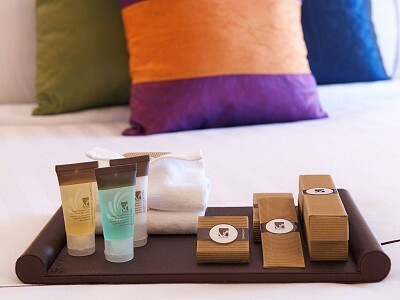 You'll thoroughly appreciate our Bungalow's comfortable king-size bed, as well as its spacious and elegantly designed bathroom. To complete the sense of bliss, the Beach Bungalow facing the beach offers a beautiful sea panorama and, in more ways than one, is just the ticket for a romantic honeymoon. Our Beach Family Bungalows are situated alongside the breezy beach front and come with a queen-size bed, as well as a super single bed, making them suitable for 2 adults and 2 kids or, alternatively, 3 adults. 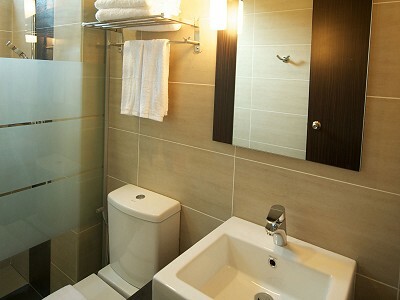 Each Beach Family Bungalow has an attached bathroom that's not only spacious, but offers a number of elegant design features too. Best of all, our Beach Family Bungalows offer a breathtaking vista of an inviting clear blue sea that has to be seen to be believed.